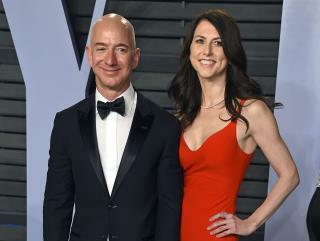 MacKenzie Bezos, Soon to Be World's Richest Woman? I know this is several days old, but this headline bugs me. Even prior to the divorce she was the world's richest woman. By all appearances, she created the wealth as much as her husband, and they both hold the wealth equally already. The divorce isn't going to change her status as the world's wealthiest woman. This is just a BS way to diminish her importance, and make it look like she's the "Little Woman", and Jeffie did this all on his own. Well, he didn't. How to become world's richest man: Invent something worth billions of dollars that revolutionizes the world. How to become world's richest woman: Bang the above guy then divorce him.